Elizabeth Arden Ceramide Gold Ultra Restorative Capsules are pure, potent, intensive single dose capsules of the innovative CLX Complex. 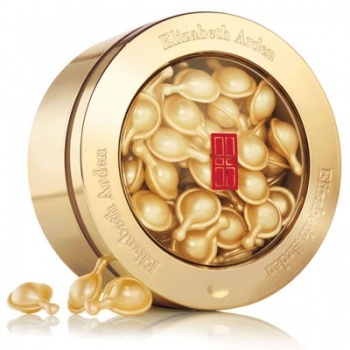 Elizabeth Arden Ceramide Gold Ultra Restorative Capsules delivers the restorative power of Ceramides and essential lipids to help strengthen skin's barrier against the visible signs of time. Elizabeth Arden Ceramide Gold Ultra Restorative Capsules visibly improves skin tone and clarity, supporting the skin's own natural collagen levels for a firmer, more resilient look while minimising appearance of fine lines and wrinkles and donating you noticeably softer and smoother skin.